Dividend-paying stocks update, Sept. 8, 2014: For the eighth consecutive year, Verizon Communications Inc. (NYSE: VZ) raised its dividend. Last week, the global leader in delivering broadband, wireless, and wireline communications services upped its quarterly dividend 3.8%, or $0.02, to $0.55 per share. On an annual basis, the hike lifts Verizon's dividend by $0.08 per share from $2.12 to $2.20, for a 4.43% yield. The enhanced dividend is payable on Nov. 3 to shareholders of record Oct. 10. In the first half of 2014, Verizon shelled out $3.6 billion in cash dividend distributions. The communications giant has paid uninterrupted dividends since it began trading on July 3, 2000. Prior to that date, VZ traded as Bell Atlantic. 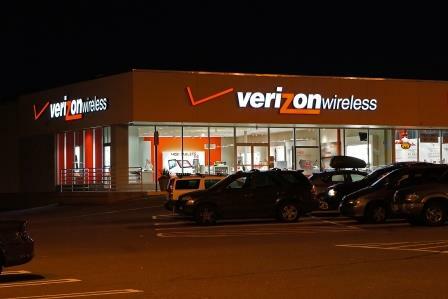 With few alternatives for yield-hungry investors, dividend-paying stocks like Verizon remain attractive due to their highly competitive distributions as well as their potential for capital appreciation. Following are the 22 other dividend boosts and two special dividends announced during the week ending Sept. 5. Altisource Residential Corp. (NYSE: RESI) raised its quarterly dividend a dime to $0.55 a share for an 8.58% yield. Atrion Corp. (Nasdaq: ATRI) upped its quarterly dividend $0.09 to $0.75 a share for a near 1% yield. BancFirst Corp. (Nasdaq: BANF) boosted its quarterly payout $0.03 to $0.34 a share. This represents a $1.36 annual dividend and a yield of 2.14%. BlackRock Resources and Commodities (NYSE: BCX) hiked its monthly distribution 0.1% to $0.077 a share for a 7.61% yield. BlackRock Enhanced Equity Dividend Achievers Trust (NYSE: BDJ) increased its monthly disbursement 0.1% to $0.04 a share for a 6.7% yield. BlackRock Health Sciences Trust (NYSE: BME) hiked its monthly payout 0.1% to $0.14 a share for a 4.62% yield. BlackRock International Growth and Income Trust (NYSE: BGY) boosted its monthly dividend 0.1% to $0.056 a share for an 8.53% yield.